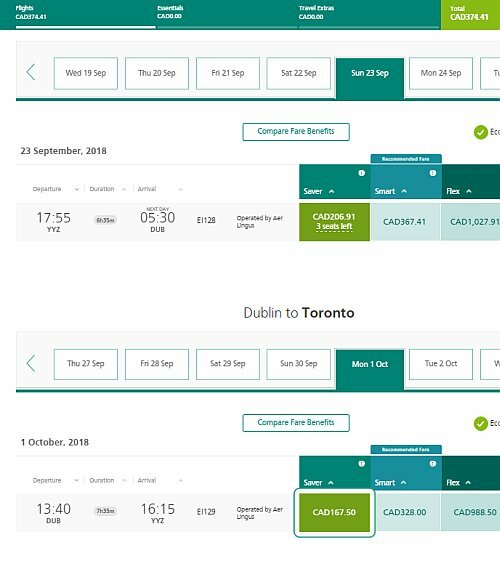 Aer Lingus has dropped the price of their fall 2018 and spring 2019 flights from Toronto to Dublin, Ireland down to between $374 CAD (carry-on only price) and $494 CAD roundtrip (with a checked bag). There are a couple of July dates available. 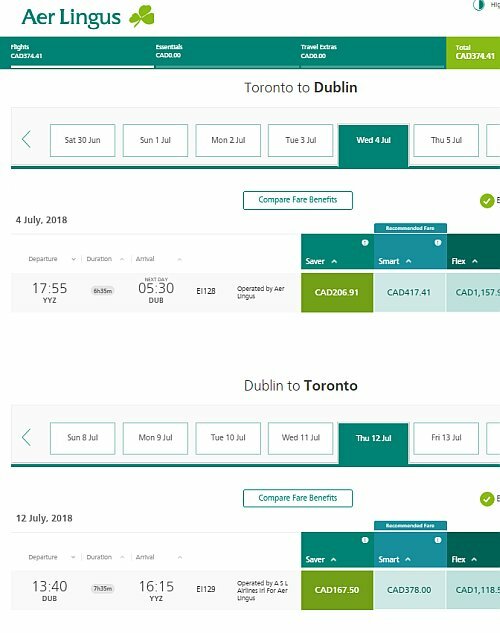 Prices from Toronto to Dublin should become even *more* competitive now that popular low cost carrier Norwegian Air has selected Hamilton to Dublin to be their very first route from Canada! (Flights begin in April 2019). 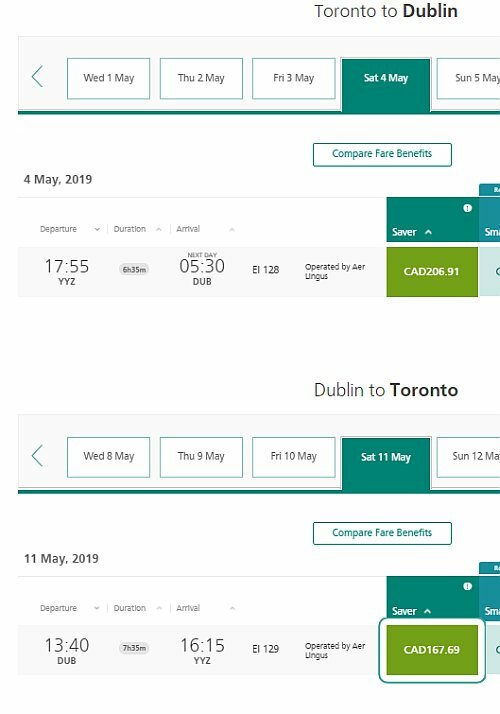 However, Norwegian's non-stop flights from Hamilton to Dublin are currently quite a bit more than they are with Aer Lingus from Toronto. 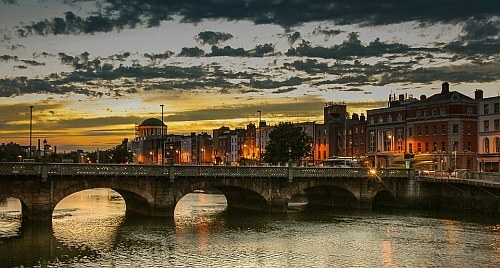 2 Responses to "Toronto to Dublin, Ireland - $374 (carry-on) to $494 (checked bag) roundtrip | non-stop flights"
Fantastic! Can't say no to a quick fall trip for that price!